JOHN MCGUINNESS HAS said it was a mistake to not ensure Irish Water comes under the remit of the Public Accounts Committee. The chairman of the committee said Ireland will regret the decision to not allow the Comptroller and Auditor General monitor the utility. Representatives from the Department of the Environment appeared before PAC today. Fianna Fáil TD Seán Fleming said he was “absolutely shocked” that the Department could give Irish Water such large subventions without service level agreements. The semi-state body received a subvention of €439 million in 2014 and is expected to receive €399 million and €479 million in 2015 and 2016 respectively. The committee heard that two thirds of this money came from motor tax payments. McGuinness said this is difficult to justify at a time when local authorities are “starved of money to fix the potholes”. He said the committee had been on “a financial mystery tour” regarding the utility, before reading out a text from a man who told him potholes were no longer water holes but reservoirs. “It’s just getting more bizarre as time goes on,” Fleming added on the motor tax issue. Some 30% of the local property tax revenue collected in 2014 was also diverted to Irish Water, as it is part of the local government fund. Fleming said if the HSE were to give out this amount of money without service level agreements PAC would “excoriate them”. John McCarthy, Secretary General of the Department of Environment, said Minister Alan Kelly will send an “expectation letter” to Irish Water in relation to the funding. He said that the utility is ultimately answerable to Kelly, the Commission for Energy Regulation and the Oireachtas Environment Committee, before which representatives will appear in the coming weeks. McCarthy said he was confident Irish Water would pass the upcoming European Commission Market Corporation Test. He said continuing public investment would be needed for “a period of time” post-2016, adding that the “clear expectation” is for Irish Water will become self-funding and be able to borrow money on the markets. Maria Greham, assistant secretary of the Department’s Water Division Department, said that the fixed assets transferred to Irish Water from local authorities was €11.25 billion. She said she would have to look into the exact amount of liabilities, including those incurred by public-private partnership contracts, that have been transferred and refer back to the committee. Earlier in the meeting, Fine Gael TD John Perry asked if the Department’s land aggregation scheme, which ran from 2010-2013, was a “mini NAMA”. Last year it emerged that €37 million was spent on 25 planned social housing sites that was later deemed unsuitable for residential use. McCarthy said there was “some activity” in relation to a number of these sites, adding that mixed housing or schools may be built on some of the land. McCarthy told the committee that the number of social houses built has “contracted quite significantly” in recent years. In 2009 the figure was 3200, while in 2013 it was less than 300. He said “social housing needs were met through other mechanisms” as building decreased. Email “Two thirds of the money diverted to Irish Water came from your motor tax”. 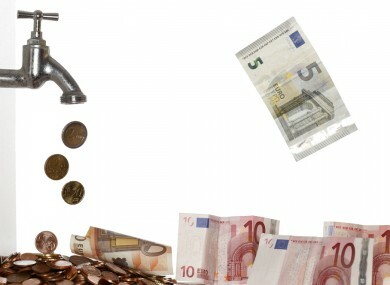 Feedback on “Two thirds of the money diverted to Irish Water came from your motor tax”.